Even the most ardent opponent would have to agree that a mirrored splashback above your kitchen worktop is all utterly beautiful. We, at Fancy Glass, are ready to provide you with the different kinds of glass and mirror backsplashes. 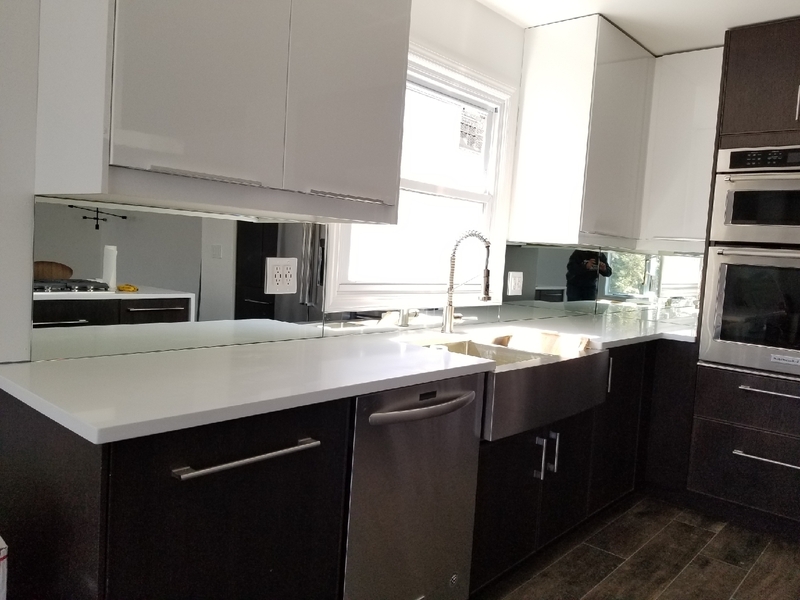 It may come as no surprise to learn that along with the bathroom, the kitchen is one of the most requested rooms for renovation by homeowners. This is probably owing to the fact that very few rooms in the home have quite the impact that a stylish kitchen can have. In fact, a beautiful kitchen can make all the difference when it comes to a homes’ intrinsic value or overall appeal. It goes without saying that as well as the bathroom, the kitchen is perhaps the hardest room in a home to keep looking at its best. The addition of a mirrored kitchen splashback not only creates that wow factor but opens up space in a truly innovative and contemporary way. Getting a quality glass splashback is one of the most effective ways of protecting the walls and keeping the kitchen and bathroom looking good. The advantages of mirrored glass over colored splashbacks or digitally printed splashbacks is that they can not only be used to compliment any color scheme or style; modern and traditional but a rooms color palette can also be changed without affecting the splashback. Another advantage is that they can be used to wonderful effect in a smaller room; to make it look larger or in a darker room; to add brilliance and light. They are also easy to clean – a simple wipe with a spray of glass cleaner and all those oils splatters vanish. For more information, please contact us and you can receive a free quotation the same day.